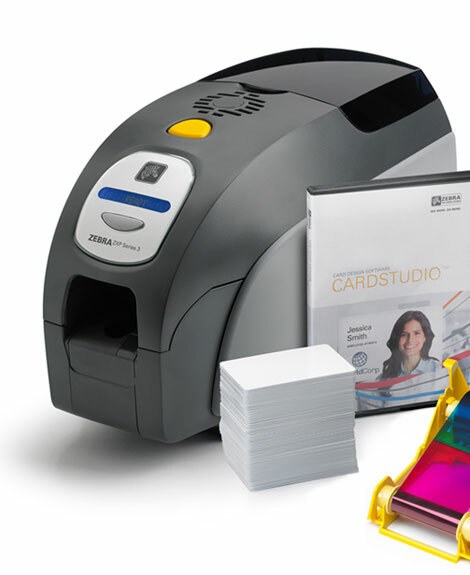 The Zebra ZXP Series 3 ID card printer produces colourful and professional ID cards. Manufactured by Zebra. The series 3 printer is one of the latest printers from Zebra, compact and easy to use the affordable series 3 can be set up in less than 3 minutes! This ID card printer has been specifically designed for printing a mid-volume amount of cards per year, and is often used for staff identification, retail & membership cards, and loyalty cards. Integrated cleaning roller included with each ribbon.